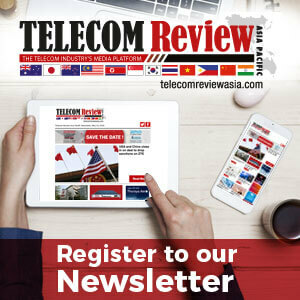 Telcotech, which is building the Malaysia-Cambodia-Thailand (MCT) submarine cable announced in June 2013, says the able is now expected to be operational by the first quarter of 2017. 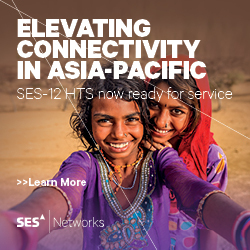 Meanwhile Singapore-based Super Sea Cable Networks (SEAX), which is building a cable to connect the Eastern seaboard of Peninsular Malaysia, Singapore and Indonesia, has announced plans to expand it in two phases to Guam, and NTT Com has opened for service the Asia Pacific Gateway cable. The cable will land at Sihanoukville, Cambodia, Rayong, Thailand, and Kuantan (Cherating), Malaysia. Telcotech says the landing stations in all three countries are complete and ready to receive the cable. 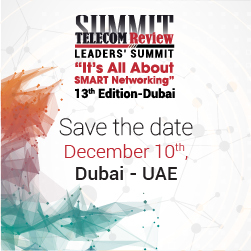 MCT will use 100Gbps technology and will support a capacity of at least 30Tbps. It will connect to other submarine cable systems, including the Asia-America Gateway that connects South East Asia to the United States. Huawei Marine was named in September as the builder of the 250km SeaX-1 cable. The cable's builder, SEAX, has now announced a second phase that will connect Singapore to the US through Guam. A third phase will connect Bangladesh, Myanmar, Thailand, Malaysia and Indonesia and will potentially act as an alternative path from these countries using Singapore as a transit hub to the rest of the world, SEAX says. The SEAX-2 subsea cable system will be built in collaboration with PT Super Sistem Ultima, a licensed submarine cable operator in Indonesia, for the Indonesian landings. The 6,300 km system will have eight fiber pairs and seven branching units at Kuching (East Malaysia), Jakarta, Surabaya, Bali, Makassar, Balikpapan, Davao. It will have a planned capacity of 100 wavelengths each carrying 100Gbps. In Guam it will interconnect with another subsea cable system to connect to the US west coast and will terminate at the One Wilshire data center. NTT Communications Corporation (NTT Com), the ICT solutions and international communications arm of NTT, has brought into service the Asia Pacific Gateway (APG) cable linking Japan to multiple Asian nations. NTT Com said the APG cable would increase data transmission capacity in the Asian region, improve connectivity between various regions and countries and improve redundancy by means of diverse routing. The 10,400 km APG network uses 100Gbps per wavelength optical transmission technology and has a total capacity in excess of 54Tbps, the highest of any network in Asia, according to NTT Com. It has landing points in Mainland China, Hong Kong, Taiwan, Japan, Korea, Malaysia, Singapore, Thailand and Vietnam. NTT Com has established two landing points in Japan where the APG cable will connect to the Pacific Crossing-1 cable which runs from Japan to the US. NTT Com has also implemented diverse landing points in Hong Kong and Singapore for the APG and for the Asia-Express cable, launched in August 2012. As a result, NTT Com says it now has totally diverse cable routes between the US West Coast and key economic hubs in Asia.